How do I block a player in Heroes of the Storm? 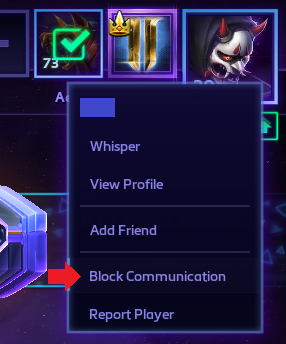 How do I block communication from a toxic player in Heroes of the Storm? I found a "blocked players" list under Options → Social, but I don't see any way to add new players to the list. Blocking works a bit differently depending on whether you are in a game or not. Open the scoreboard with Tab, click the Options icon to the far right of a player's name, and select Block Communication. Right click a player's avatar and select Block Communication. Right click a player's name or avatar and select Block Communication. 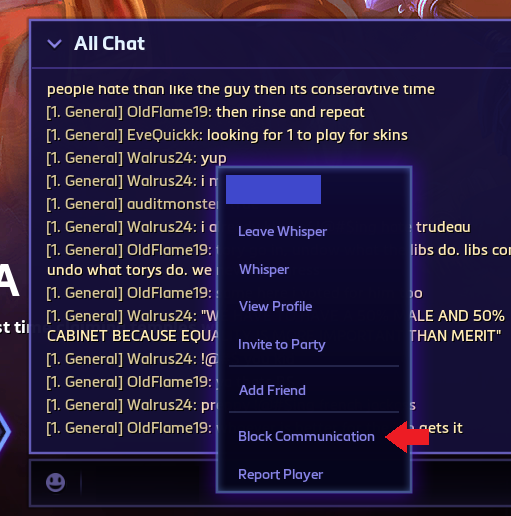 How to report a “toxic” player in Heroes of the Storm? 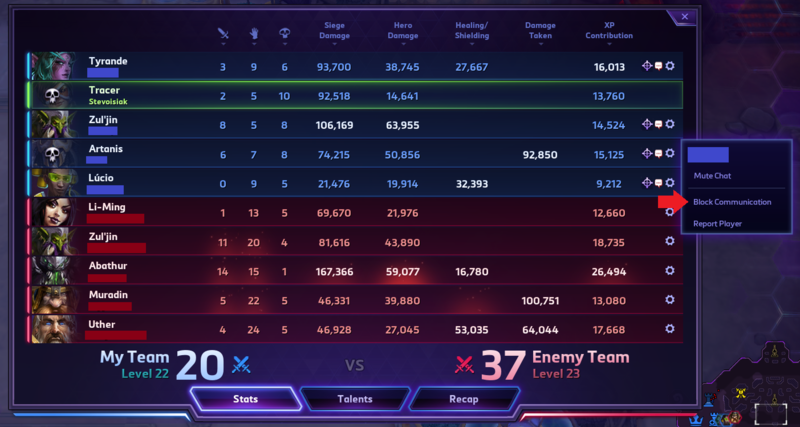 How do I determine my highest obtained rank for the current season in Heroes of the Storm? Which heroes can escape The Butcher's Ruthless Onslaught?